Remember, remember….. to check out the November Bulletin! If you haven’t yet got around to enrolling a Postgraduate course since leaving school, then it may be time to give you a rocket……. The November Bulletin is now online. 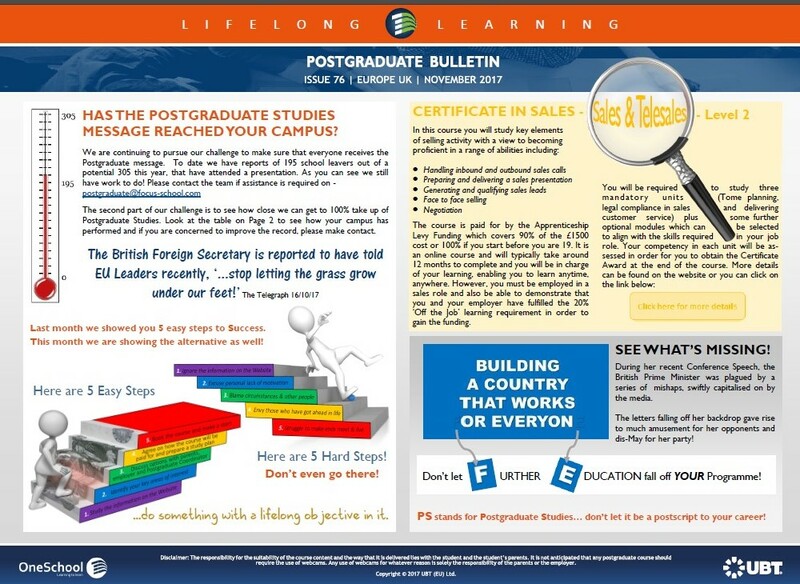 Find out where your Campus stands in the Postgrad League Table, get an insight into the real message in the Prime Minister’s Conference Speech, get an employer’s perspective on Apprenticeships….and more. Enjoy, with compliments from the Postgraduate Team! ← October Bulletin now published!